Founded in 1963 in Denver, Colorado and sold to Edward Chernoff in 1984. For over 50 years PowerStar has been creating and manufacturing central vacuum systems and upright vacuum cleaners. 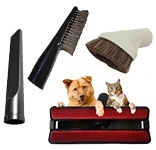 They are known worldwide for creating innovative home cleaning products. PowerStar central vacuum systems are manufactured with American and German made motors for reliability. They are designed for high performance and durability. Their HEPA filtration systems surpass all HEPA requirements as well, making them a great choice for asthma sufferers or people with dust allergies. With a large network of retailers and distributors across the US, you can expect a hassle-free service call if the need arises. PowerStar is also known as Star Equipment & Supplies worldwide. PowerStar PS405 500 AirWatts, up to 3,000 Sq. Ft.
PowerStar PS505 550 AirWatts, up to 4,000 Sq. Ft.
PowerStar PS705 600 AirWatts, up to 7,000 Sq. Ft.
PowerStar PS805 640 AirWatts, up to 12,000 Sq. Ft.
PowerStar PS905 1000 AirWatts, up to 15,000 Sq. Ft.
What are the Reasons I should buy a PowerStar Central Vacuum Unit? HEPA Filtration System: The PowerStar central vacuum systems have the ability to eliminate contaminants that are as small as .03 microns in diameter with an astounding 99.97% efficiency. This simply means that it can remove a pollutant that is 1/240 the thickness of a human hair. These central vacuum systems have been enhanced with an Aller-X Micro Electrostatic HEPA filter bag, which has the ability to eliminate 100% of the mildew, mold, spores, dust allergens, other allergens, small spiders, dust mites, and even bed bugs from your home. Power Star central vacuum systems are considered as the perfect option for those homes where members have asthma or are allergic to pollutants like dust. Zero Noise: Their central vacuum systems offer exceptional soundproofing performance. Whether the vacuum power unit is situated in the garage or at the back of the house, there will be absolutely no noise whatsoever within the house when you are using it. Strong motor: The central vacuum systems offered by PowerStar have strong motors that offer a powerful performance. These units are made of stainless steel and hence offer rugged durability and longer life. These units are also rust free. Healthy Environment: Using state of the art technology, PowerStar central vacuum systems are able to considerably reduce indoor air pollutants. Dirt, dust, and pollens are all captured and cleaned away. As a result, you will be able to enjoy a healthier and cleaner way of life. Warranty: PowerStar systems are backed by a limited lifetime warranty and it is valid for domestic units only. 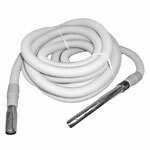 The warranty is valid from the date of purchase and till the time the central vacuum system remains at the original place of installation. If you change your home then the warranty will not be valid. PowerStar guarantee is applicable to the motor as well as other electrical components for a period of 5 years. They have authorized service centers, which will repair the system or replace any defective parts within the five year period. Convenient Installation: All PowerStar vacuum cleaners are convenient to install. 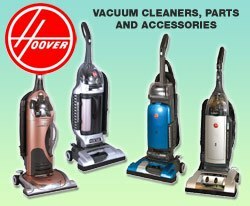 PowerStar vacuum cleaner is one of the best in the world and are definitely much above the standard cleaners when it comes to quality and power.